When Benefit announced the release of their new mascara I think the beauty world went mad. When Benefit announced Elle Magazine would be giving away a deluxe sized sample of that new mascara that same beauty world went crazy, and me with it. When the magazine launched out Roller Lash wasn't even on the market. And I believe it's official release date is the 26th of this month (quote me if I'm wrong). So, this wasn't any old mascara or freebie to a mag, it was an exclusive and one I was sure I were going to get my hands on. I've only tried one other mascara from Benefit before and that was the hugely popular They're Real! Mascara. Despite it's huge popularity it wasn't one I highly rated and find the likes of Rimmel do better mascaras. Saying that, I was excited to get my hands on Roller Lash and give it a try in the hopes Benefit could do better and meet my high expectations that I expect to see from the likes of Benefit, a pricier brand. And did the Roller Lash live to expectations I hear you ask? Yes. It certainly did. Roller Lash is a mascara that's taken years in the making. And the years of perfecting this particular product have certainly paid off. The all point of it's crazy rollers style is the fact that the wand, just like an hair roller, comes with little hooks which pulls and lifts the eye lashes creating the perfect length and adding that much desired curl - with the curved wand - which will have you waving goodbye to those eyelash curlers (if you use them). I'm so impressed by this mascara. 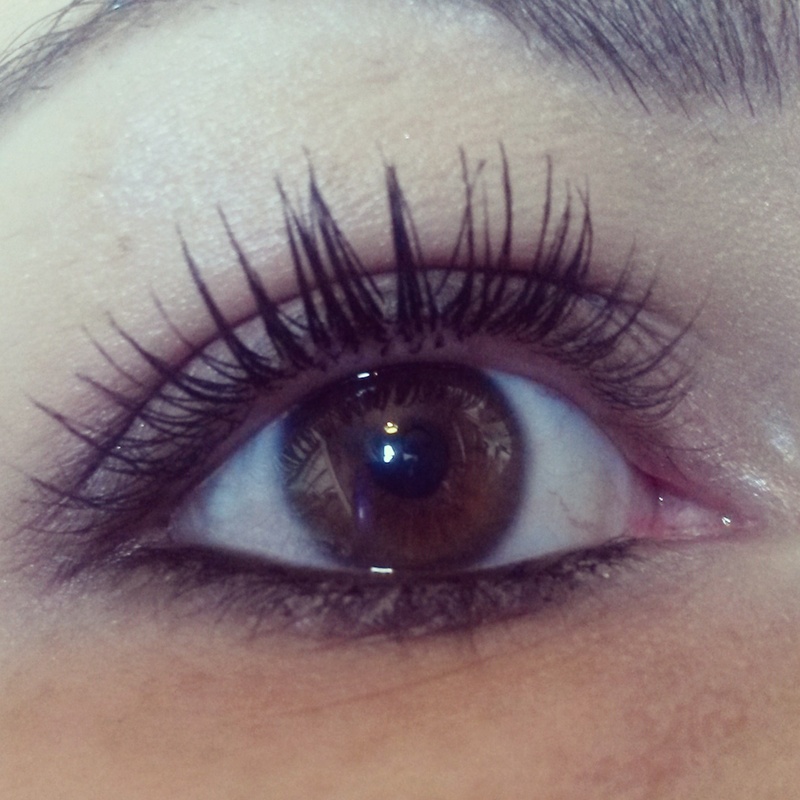 It's been quite a while since I've felt wowed by a mascara and it's certainly got the wow factor. I will be popping out and parting with £19.50 of my money on the full-size that's for sure. I know what you mean, when ever I see a benefit freebie with a mag I grab two magazines!! Got to make the most of it! !